Working with the Marianne Design Gel Printing Plate. 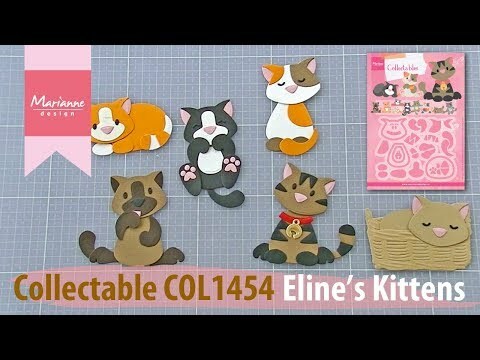 Ideas for making lots of different paper kittens using Eline's Kitten cutting dies. Create a cute Baby card with products from #73 Collection. Learn how to make a pop-up box card with the CR1433 Marianne Design cutting dies set. Have fun making your own paper sweaters with the cutting die COL1434. With the new accessories Winter set LR0499 you can dress up the boys & girls of Kim's Buddies against the cold. Make dimensional cards with fold back star shape folds. Learn how to make background papers with your layering stamps. Learn how to mask your stamps to create pretty floral arrangements. Learn how to work with the layering stamps. In the video Marianne Design show us how. Watch as Winnie from Marianne design demonstrates how to use my Buddies cutting dies to create fun characters for your cards and crafts. 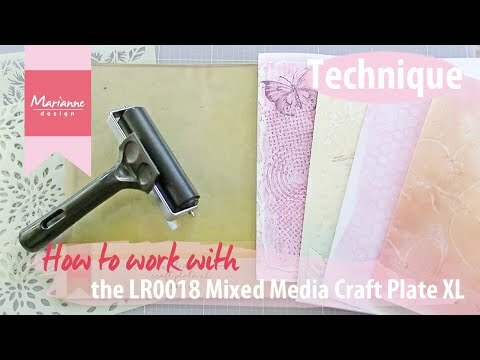 Make a slider card with this easy technique from Marianne Design. Eline's Bunny Collectable COL1354 - now as a family! Mix & match the Eline's animals die cut shapes to make happy little families! Eline's Santa is a Pirate! How to make a Pirate with the COL1391 Santa Claus cutting dies set by Eline. How to make an Eskimo with the COL1391 Santa Claus cutting die set by Eline. How to build Eline's Santa Claus with the COL1391 cutting dies set from Marianne Design. How to watercolour with Marlene's mixed media stamps from Marianne Design. How to play with Eline's doggy Collectable COL1411 cutting die for card making and papercrafts.